The Legal Genealogist‘s time in Oregon is drawing to a close after a spectacular trip yesterday to Crater Lake and what promises to be equally terrific today — a trip to the Klamath Basin National Wildlife Refuge Complex. Between a great visit with the Rogue Valley Genealogical Society and some great scenery and wildlife, this has been a wonderful opportunity to get to know a part of the country where I hadn’t been before. But tomorrow it’s off to a much different part of the country — a part that wasn’t originally part of this country, not even part of the British colonies. Tomorrow, I head off to Tampa, Florida, for the 2016 annual Fall Seminar of the Florida Genealogical Society (Tampa), co-sponsored by the Hillsborough County Public Library Cooperative. The all-day program Saturday at the Robert W. Saunders, Sr., Public Library is themed “Ladies, Losers, & the Law,” and the topics are “‘Don’t Forget the Ladies’ – A Genealogist’s Guide to Women and the Law,” “How Old Did He Have to Be,” “Rogues, Rascals, and Rapscallions: The Family Black Sheep,” and “Facts, Photos, Fair Use: Copyright Laws for Genealogists.” Sure hope to see you there! So… what about early Florida law anyway? Because Florida wasn’t part of the United States at all for a lot longer than most people think. We begin, of course, with Spanish Florida law. 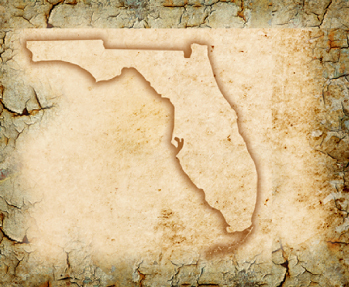 Florida’s early legal development was controlled by Spanish law, and particularly Las Leyes de Las Indias — the Laws of the Indies. This was the law in effect when Florida was first settled. Tomorrow: a sneak peek at some of the best of those early Spanish Florida records. I just learned more about Florida than in my whole 12 years of school and 4 years of college.